Are you ready to take your money practices to the next level? with the Smart Money Bundle. Are you STRATEGIC about your money? Are you DISCERNING with your money? SAVE more money with the Savings School Masterclass (Value $47). CONNECT with your partner about money with the Money Conversations Masterclass (Value $47). 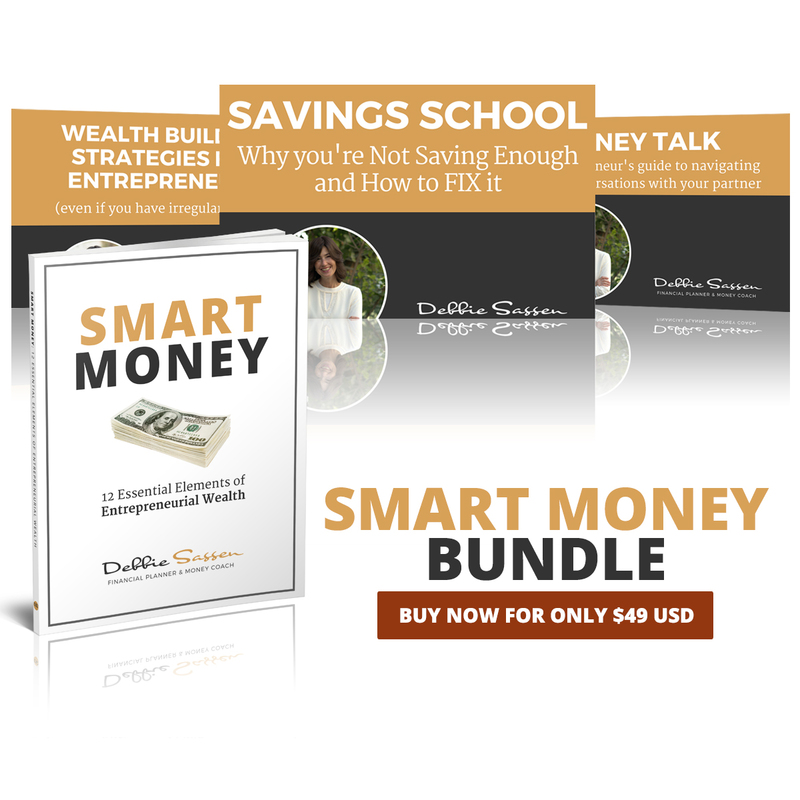 You will also get access to the Smart Money Workbook, which will help you to identify and improve your money practices and mindset, and build true wealth. If you’re an entrepreneur who is ready to move towards financial freedom, and up-level your financial habits, then these practical and easy to implement masterclasses are just for you. Buy now for instant access and get started TODAY. Ten years ago, I left the high-powered world of investment banking, and began working with individuals, couples and families to help them find order and empowerment in their personal finances. I bring to my work expert knowledge of investment options and the money markets, uniquely combined with a deeper insight into what’s really holding you back from taking financial flight, and tools to help you overcome those road blocks. Together, we can build both your wealth and your sense of confidence and empowerment around money.